Club member Colin Swinson has very kindly arranged for Mark Cole to visit us and talk about his work and experiences in motor sport. 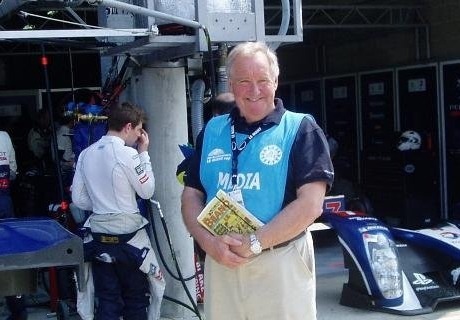 Mark is, as many of you will know, a key member of the British Eurosport WEC commentary team at Le Mans and elsewhere. The meeting format will be confirmed mid-January but the talk is now likely to be scheduled for around 8.30pm. Admittance will be limited to pre-booked attendees and there will be a small charge to cover speaker's expenses. Prior dining is optional but highly recommended.